Thanks to the growing interest in the “Polish case”, Europe should now have a clear legal understanding of what is going on in Poland and of the motives of the government: the systemic repudiation of some of the fundamental principles of Polish constitutional order, rule of law, legality, separation of powers, independence of the judiciary, supremacy of the Constitution and the monopoly of constitutional review. With the benefit of hindsight, there should be no longer any doubt that the current attack on the Court is not premised on the transient dissatisfaction with the Court’s performance or its particular decision(s). The attack on the Court strikes at its very existence and forms part of larger and sophisticated plan aimed at debilitating possible pockets of resistance and independence. With the benefit of last few months’ lessons, we are also able to identify the recurrent theme that informs the actions of the Polish government and that serves as a founding block for the constitutional logic to which all actors must conform now: the will of the nation is expressed through the majority of the day and no one can stand in its way. To make the new doctrine and legal philosophy completely clear, the honorary speaker of the Sejm had ominously summed up the state of play: “it is the will of the people, not the law that matters, and the will of the people tramples the law”. On this reading moral doubts of the parliamentary majority suffice to set aside law which was validly adopted and upheld by the court. Defying the Court by the refusal to publish the Court’s judgment(s) unfavourable to the majority only adds to, and corroborates, this. Only yesterday high-ranking government officials justified such refusal by saying that a „judgment that goes against the will of the people (= majority) will not be published. It is no more than a press release and the judges might have as well ordered coffee and snacks while working on it”. Ruthlessness, scorn and ridicule all in one, indeed. However, what follows here, is not so much the analysis of the legal aspect(s) of the Polish case. Enough has been already written on it. Rather, I want to focus on the process that is at the root of the revolutionary zeal and provide intellectual underpinning for it. Without taking into account of this side of the problem, the analysis is incomplete. This process is encapsulated by the term “politics of paranoia”, a strange combination of emotions, irrationality, symbolism and distrust. Political paranoia of Polish leaders clearly drives their actions, and the constitutional developments are no more than the mere result of it. One cannot fully grasp the rationale of the new powers that be without lurking behind its ideology and founding myths. For PiS the birth of the Third Republic 1989 has been deficient since the very beginning. This party has been built and thrived on the premise of denouncing the so-called Round Table talks in 1989 as a rotten compromise struck by Lech Walesa (whom it continues to denigrate and see as a traitor and secret collaborator with the communists) and by Solidarność with the outgoing communist regime and as a means of keeping the old elites alive. Polish politics and democratic institutions (e.g. the Court), according to this view, are all sham, the Third Republic is not a real state but a phantom state built on the intellectual corruption of political elites, bribery, dysfunctional government caving in to Brussels and selling off Poland to strangers for peanuts and waiting at the beck and call of Germany. The “real Poles” are shackled and relegated to the sidelines. Now, “We the PiS” speaking on behalf of true Poles will reclaim the state from the corrupt elites and purge it of all irregularities. The censorship, antagonizing rhetoric of “we vs them”, nationalistic undertones (Poland as German’s and EU’s political lapdog etc. ), manipulating law complete the picture. However, this is only part of the story. In politics driven by paranoia, any pocket of independence and potential resistance is seen as dangerous and fuels the conspiracy theories. The enemy is omnipresent: everywhere and nowhere. It is invisible and does not respect rules. As a result, tracking the enemy is crucial and provides self-renewing justification for the paranoid regimes. As famously argued by the Martin Shapiro, “courts that owe their existence to democratic institutional choice must act prudently, or the choice may be withdrawn”, and the Polish Constitutional Court is no exception. On balance, its jurisprudence of 30 years respected the choices made by the principal. The Court acted prudently and has built credibility and legitimacy incomparably greater than that of other Polish public institutions. It goes without saying that constitutional courts will sometimes find the acts of other parts of government unconstitutional, even when those acts are backed by current majority of voters or their representatives. The political power realizes all too well, that, as put by András Sajo, “where there is nothing to counterbalance the power of the majority except the Constitutional Tribunal and where majoritarianism is mistakenly identified as democracy, the evolution of cabinet dictatorship is inevitable”. The attack on the Court now does not come as a surprise. Already in 2005 – 2007 it took PiS almost no time to identify the Court as a barrier to reforming the Polish state and to mark it as a public enemy. It was the institution itself that was under systemic attack, with the judges described as “disgusting, opportunistic cowards”. Two years at power then were marked by the suspicion, dividing people and setting them against one another, rise of state indoctrination, political intervention in the operation of the secret services, courts and judicial system in general, aversion to so-called “elites” (word used disparagingly) and revisionist reading of history and anti-European propaganda (“if something goes wrong, blame it on Europe”). To describe the methods used by the ruling majority of the day, Marek Safjan, former President of the Court, spoke of the “political mobbing”. While he clearly acknowledged the political impact on the constitutional courts, he describes mobbing as a “deformation of relations between the justice system and the world of politics”. Political mobbing gave rise to another term “impossibilism” to describe the allegedly destructive impact the Court exerts on the democratic process when it thwarts the political projects of the new majority by way of too interventionist constitutional review, thus making impossible the realization of the signature political projects. When confronted with such massive attack on its authority back in 2005, the Court did not flinch and stood in the way of Poland backsliding towards illiberal government by handing down judgments which invalidated the laws that struck at the very heart of Polish liberal democracy. The intentions of the government and Sejm were made clear in the so-called “lustration case” on access to the archives of the former secret police (let us not forget “enemy is everywhere”). In this case a warning shot was fired at the judges of the Court when the representative of the Sejm used the archives selectively and secretly to blackmail the judges sitting on the bench in order to paralyze the Court. 2005 – 2007 was important because it clearly demonstrated that PiS is strongly opposed to the narrative of the rule of law and constitutional review in principle. There was no doubt that should PiS regain power, it would be all about settling the score and going after its old enemies with ruthlessness and dexterity. The Court was identified as an enemy and clearly stood in the way. The Court was and is seen today as a bastion of reason, moderation and societal respect for self-imposed rules, the qualities that are inimical to the paranoia-driven politics. Therefore, as an enemy it must be disposed of, marginalized, destroyed etc. irrespective of the costs and per fas et nefas. Paranoid politics at its best. One then can ask a pertinent question: why, given the unquestionable success of the Polish transformation of which the Court is the prime example, did the Polish people vote PiS and politics of paranoia back into power? A confluence of factors played a part: the discipline of PiS’ negatively-minded and extremely mobilized electorate combined with adroit rhetoric of sending the corrupt politics packing, and the self-satisfaction and arrogance of the Civic Platform. Its 8 years in power, unprecedented in Polish modern history, had robbed Civic Platform of energy, vigilance and readiness to correct itself from within. In addition, the citizenry was lulled into indifference. Things were so good and predictable, EU funds kept coming, quality of life increased dramatically for the majority of Poles, that liberally-minded middle class forgot about the roller-coaster years of 2005-2007 and just took things for granted. Today, politics of paranoia are indeed shaking up Polish the liberally-minded citizenry, and the possibility of constitutional compromise has never been a viable option because the concept itself is alien to politics of paranoia. Compromise is abhorred as a sign of the regime’s weakness in the face of an ever-ready enemy. As a result there can be no rest in our quest for “reconquering the country, and it may be brutal” (this statement was made by an anonymous adviser to the Polish President). 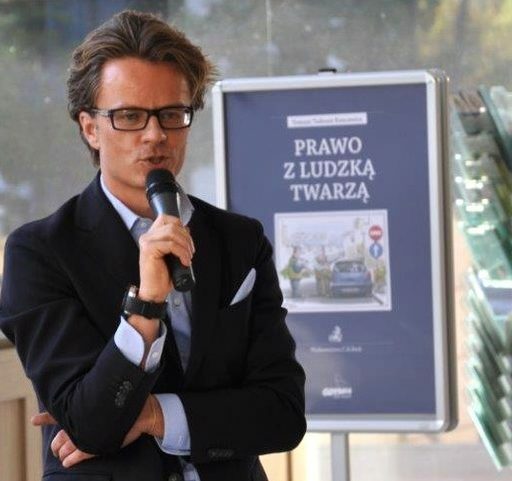 In his “Constitutionalism and the Enlargement” Wojciech Sadurski concluded that EU is increasingly becoming a community of values rather than merely a community of interests. “EU can be mobilized against nationalistic, xenophobic, authoritiarian trends and there is a degree of transnational solidarity on the part of liberal democratic forces that can count on the political resources of the EU”. More crucially he enlarges on argument which might be called “containment” where EU is seen as a forum to constrain national self-determination and mitigate its excesses. He says this: “with the awareness that a possible lapse into a nationalist-authoritarian option in the new Member States of Central and Eastern Europe is not merely an ‘internal domestic affair” but rather immediately becomes a ‘European’ problem penetrating public opinion in these states, the political mechanisms for preventing and countering such collapse are themselves becoming more resilient. Accession to the EU may not be a panacea for all the problems of democracy but it provides reasonably good protection against possible future disasters”. Europe as a “community of values” and a tool for containment in the case of Poland? It sounds lofty and noble, but not so fast. So far, Europe has not lived up to its task and promise. It seems to be always one step behind the events, paralyzed by indecisiveness, lack of clear vision and leadership and, as always, omnipresent red tape. All this play into the hands of paranoid politics defined by the steadfastness, determination and pure cynicism (milking Europe as long as possible, while defying it on all other fronts). Faced with such a ruthless and no-holds-barred adversary, Europe should finally abandon its comfort zone and come to terms with the seismic shift in power and narrative unfolding in Poland, one that goes well beyond dismantling of the Court. Fence-sitting and watching comfortably on the sidelines is no longer an option. The time has arrived for Europe to stand up, speak up and deliver the crucial message that over last 60 years Europe has indeed evolved into much more than just a common market. Or has it? A. Sajó, Limiting Government. An Introduction to Constitutionalism, (Central European University Press, 1999), at p. 4. SUGGESTED CITATION Koncewicz, Tomasz Tadeusz: The Polish Constitutional Crisis and “Politics of Paranoia”, VerfBlog, 2016/3/11, https://verfassungsblog.de/the-polish-constitutional-crisis-and-politics-of-paranoia/, DOI: https://dx.doi.org/10.17176/20160314-095924.